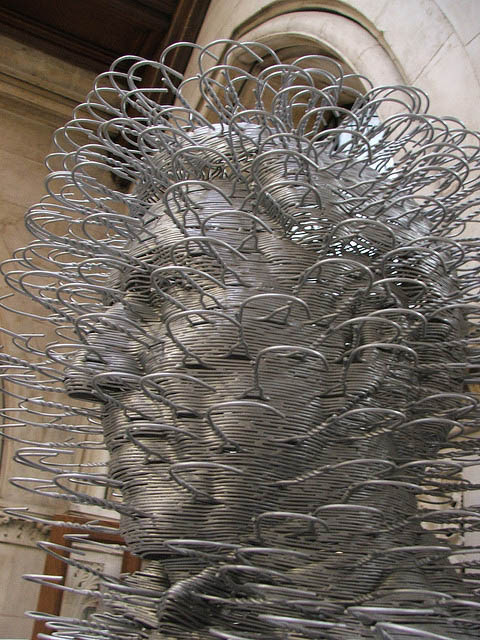 Scottish sculptor David Mach is a master at creating assemblages of mass-produced objects such as magazines, bricks, books, dominoes, matches, and, as illustrated in this post, wire coat hangers. Though new to me, Mach has received major honors and recognition for his work since the 80s including a nomination for the Turner Prize in 1988 as well as being a Fellow of the Royal Academy of the Arts. 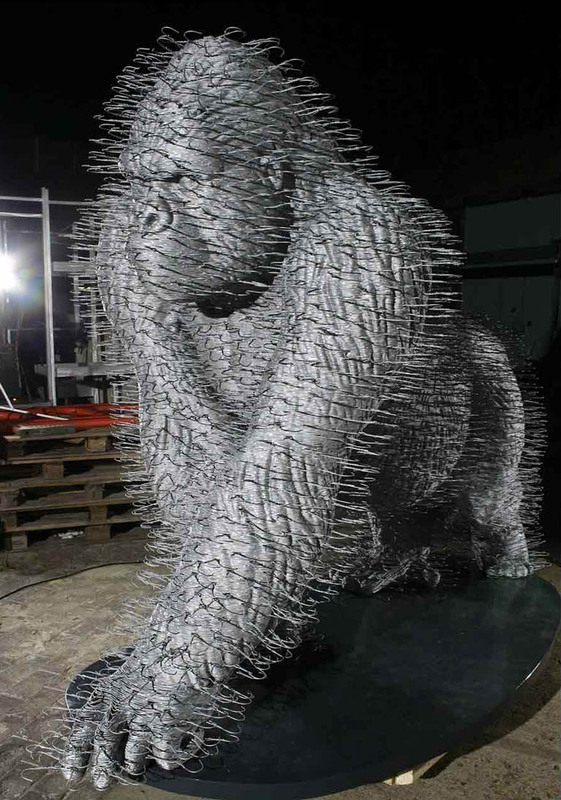 His coat hanger sculptures range from busts to large scale animals. The detail on these pieces is incredible. I wish I knew what the process was like. Photos from the artist’s site, Malcolm Edward’s flickr, Galerie Jerome de Noirmont, and Aaron Sweeney. This entry was posted in Art, Fun, Just Plain Cool, Pop Culture. Bookmark the permalink. I saw the gorilla in the v&a museum in London and it is amazing, it’s life-size too! but in the description it said that he didn’t really use actual ready made coat hangers, he just made it looks like it. Thanks so much intomind. It’s a little disappointing to hear, but after your comment I researched further and found that he creates a plastic mold and welds the wire hangers around it, later removing the mold. Still pretty incredible. Thanks for the comment!